After our first visit to Parker Mesa Overlook five months ago, my friend and I vowed to return. Though we certainly enjoyed our hike, we knew we were missing out on something big. 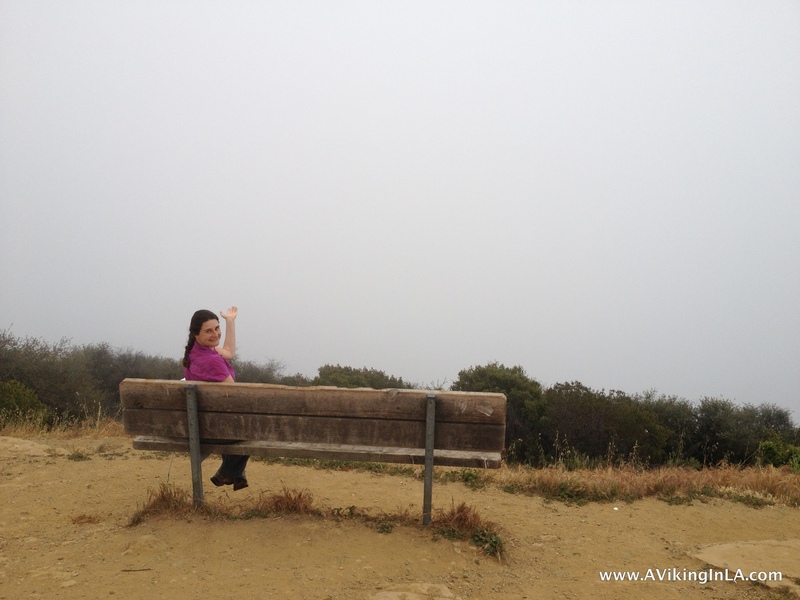 The guidebook promised stunning 360 degree views, but we saw absolutely nothing due to the extreme fog. We didn’t know if we were looking towards the ocean, mountains, or at houses. We had no idea which direction was where. It was actually an odd, surreal feeling to be so enveloped in fog (you can see a picture here)—an unusual and intriguing experience in and of itself, but we wanted the whole package, which included the views. So one morning recently we headed out to see if we’d have more luck with the views. It was a gorgeous day and no fog whatsoever, only a little haze in the distance. 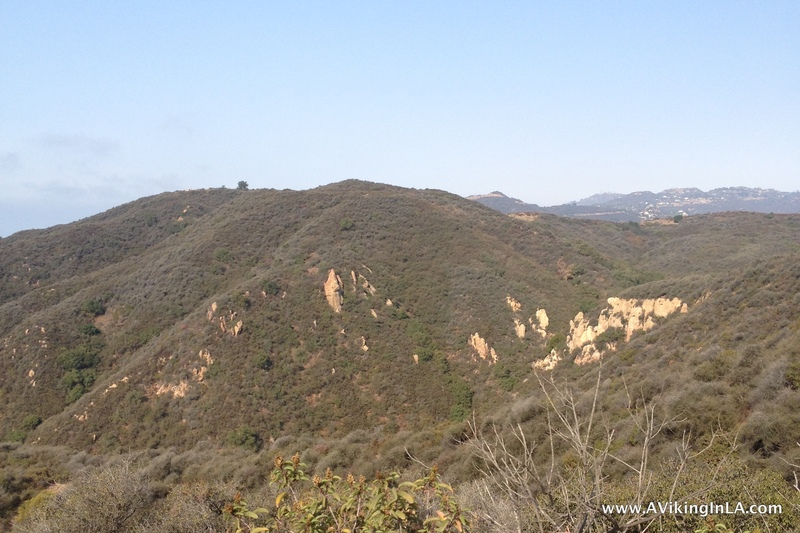 What was immediately noticeable about this hike, as opposed to the first one, was that we could see exactly where the trail was going and what was ahead and around us. At one point, we could actually see where the overlook was and got an idea of what the views might be, and they looked promising. There’s the overlook ahead, the hilltop with the lone tree! And when we reached the overlook, we were not disappointed. There were amazing views in every direction. 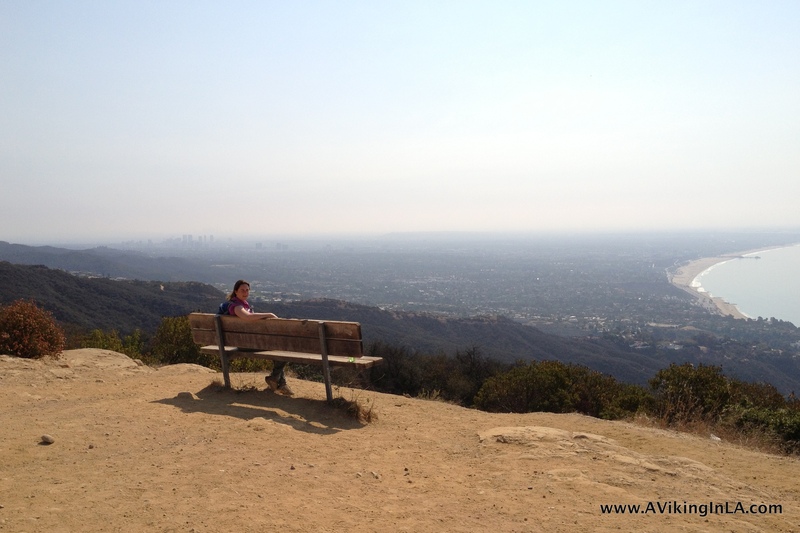 We saw the ocean, the coastline north and south, inland to the tall buildings of Century City (or maybe Westwood? 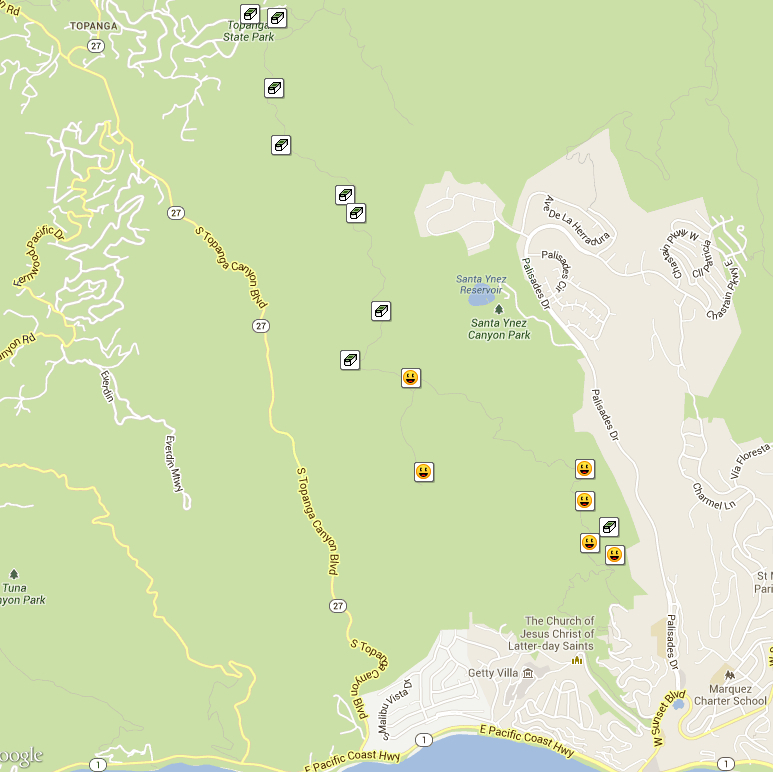 ), and into Topanga State Park and the Santa Monica Mountains. It was breathtaking and peaceful. We were above all the busyness of the world down below. We sat for quite a while just taking it all in. There was one thing missing from our view… Catalina Island. Due to the slight haze, Catalina was not visible. We saw the whole curve of the bay to Palos Verdes Peninsula, but nothing out in the ocean. Once again, we vowed to return to catch the missing piece of this hike. On the way up, the coastal views had been mostly at our backs, but now they were there for our enjoyment all the way down. 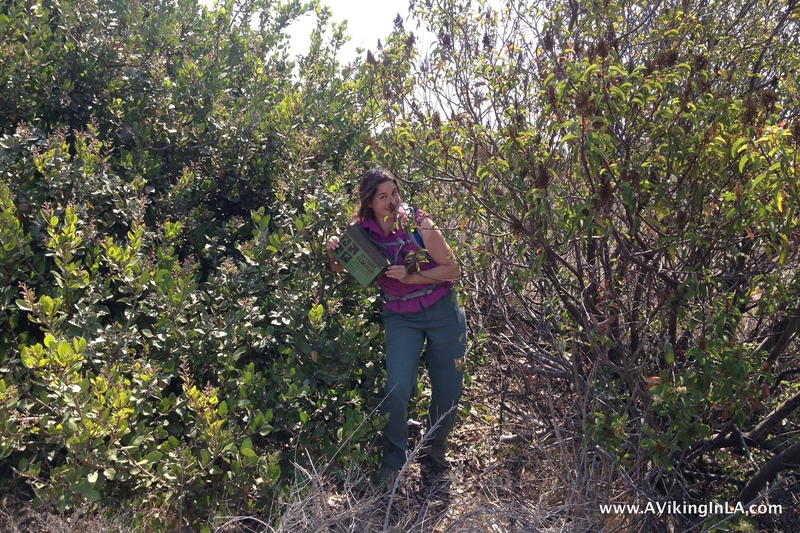 Of course, we couldn’t head down without searching for some geocaches we hadn’t looked for the last time. Last time we found three. This time we found three more. 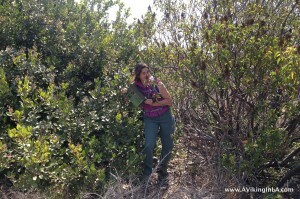 It’s so fun to have a buddy who enjoys geocaching as much as I do (or at least says she does! ), because my family has started to roll their eyes when I mention geocaching. There is still one more geocache to find along this hike, but it is much more off-trail and requires a bit of bushwhacking. We’re saving it for next time. 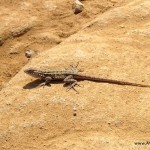 We also enjoyed some local flora and fauna on our hike. 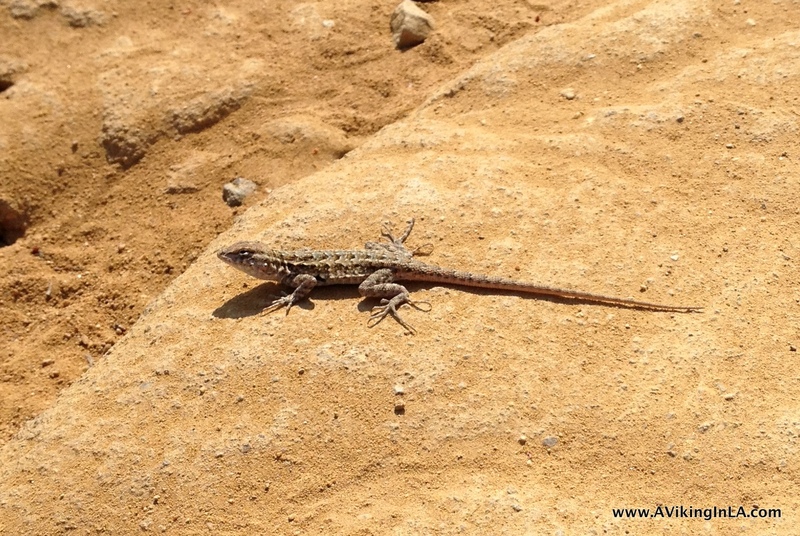 We saw various birds, a bunny rabbit, quail, and this teeny-tiny lizard and also a colorful flowering cactus. 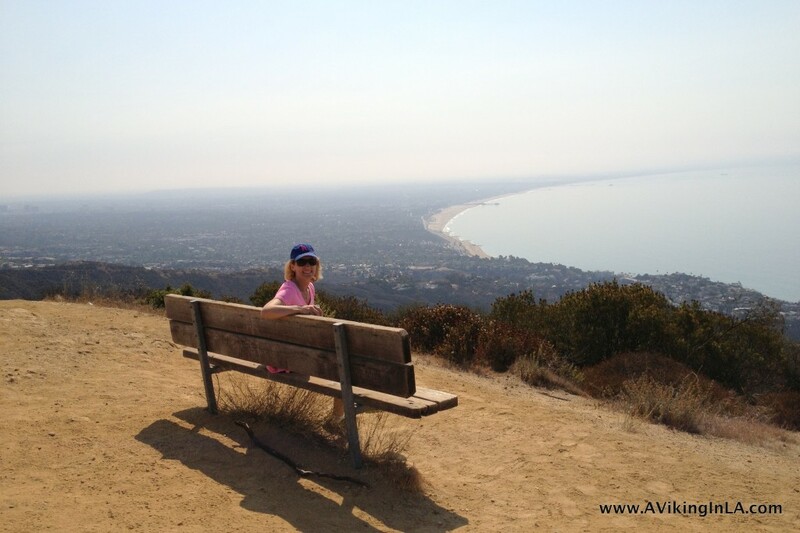 This entry was posted in Los Angeles & Environs and tagged geocaching, hiking, Pacific Palisades, Topanga State Park, Trippet Ranch by Patricia Zanuck. Bookmark the permalink. 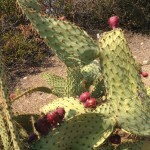 Count me in for the next Parker Mesa Overlook hike! Så deilig og fredfult det så ut. Er det noen dyr der oppe – eller insekter som irriterer? Vi så mange fugler små og store, til og med noen quail denne gangen. Begge ganger så vi kaniner. Første gang i området så jeg en stor slange. Det var spennende! It looks great up there. 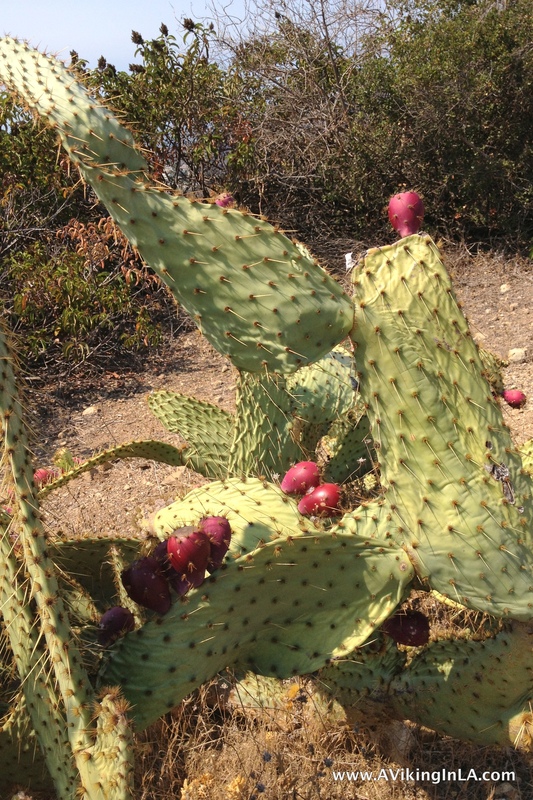 Good luck on your next trip to get the last geocache……..and to see Catalina Island. One thing did not work; I tried to “click here” to see the whole fire road trail but the page came up blank. Thanks for the head’s up on the bad link. It’s fixed!